For a sleek aero finish, use a single high grade cone shaped black carbon ahead spacer. Available in 15, 20, or 25mm for 1 1/8" fork. 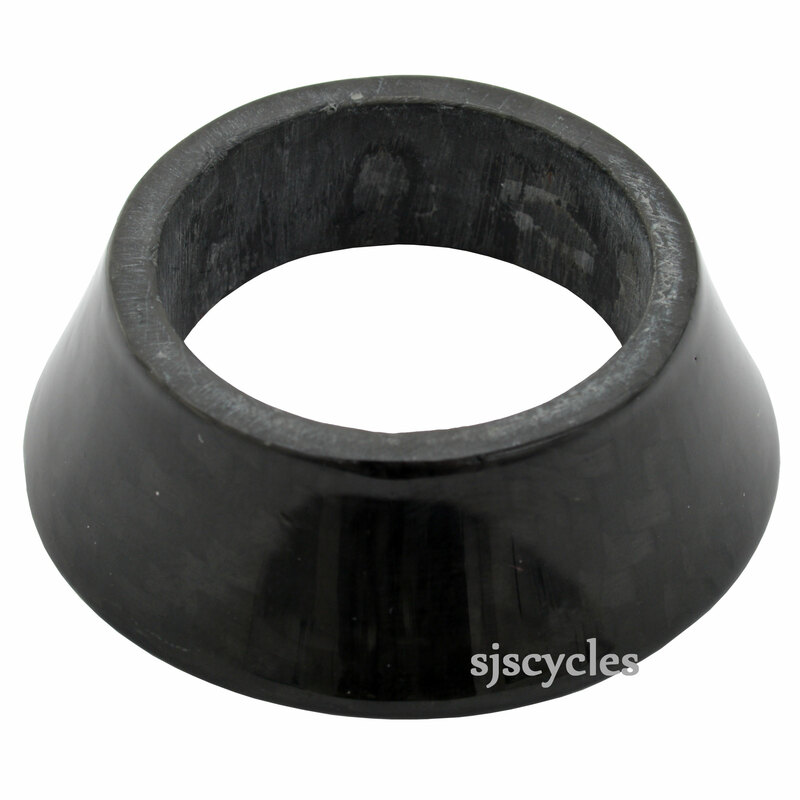 Can spacer be used in place of headset bearing cover? We see no reason why you could not do this, but as we have never done this im afraid we would not know. What is the external diameter at the base of this spacer? The base of this spacer has an external diameter of 46mm.